Heroes, Heroines, and History: Historical Societies and Fiction Authors: A Match Made in History, Part II .... and...Drumroll Please...Surprise GIVEAWAY! 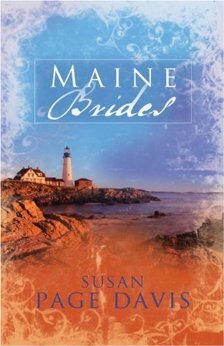 Historical Societies and Fiction Authors: A Match Made in History, Part II .... and...Drumroll Please...Surprise GIVEAWAY! Last month in CFHS I shared several historical tidbits author friends had stumbled on in their research – Historical Societies and Fiction Authors: A Match Made in History, Part I. Originally, I gathered these tidbits to share with my local historical society for one of my first “official” speeches as a published author and decided that CFHS and friends would enjoy them as well. But, I had so many interesting little vignettes that I decided to do a Part II. I thought that was an interesting statement. And Susan’s right. When writing historical fiction, it’s just as important to be aware of what wasn’t part of the landscape of the period and place you’re writing about as it is to know what was there. A few years ago, author Patty Smith Hall (CFHS blogger on the 30th) was researching her first book, Hearts in Flight. She was at the local historical society in Marietta, Georgia, looking up information about everyday life in town during WWII. While going through a file of old newspapers from early 1943, she came across an article about a local woman delivering a set of triples. The article went on to say that the mother and babies were thriving. The article was about her grandmother--only she, along with two of the babies died within 24 hours of the delivery. The newspaper never did a follow up article--the news on the war front was so bad, they didn't want to pile on with the death of Patty’s grandmother and the babies--so for months afterward, people from all over the county would ask her grandfather how the babies were doing. It was so difficult for him, he began to drink to numb the pain. Patty showed the article to her dad and her aunt, the only surviving triplet. Neither had ever seen it. And with their permission, she used that piece of family history as a secondary plot line in her novel. In a follow up email, I asked Patty if her father and her aunt knew about the other two babies, and she said yes. But what was news to them was the way the paper covered the event and the lack of follow up. It answered a lot of questions they'd always had concerning her grandfather's behavior. Her dad was only 3 and her aunt was a newborn so they never knew before why her grandfather started drinking. But reading that article and finally asking some questions of their older siblings gave them a better understanding of their father, and how much the loss of their mother affected him. Moseying on down to Texas…. This interesting story comes from author Carrie Stuart Parks. Carrie’s great-grandmother, Mabel Sparks Stuart, was from Lampasses County, Texas. While walking up a dusty street one day, she heard a woman screaming. She investigated and found a Mexican woman giving birth in an outbuilding. Mabel assisted in the delivery. Several weeks later she heard a knock on the door, opened it, and found two Mexican bandoleros. They explained that the baby she’d helped deliver was the illegitimate child of the famous bandit, Pancho Villa. Pancho Villa, in gratitude for her help, sent two shawls: a white one with gold thread woven throughout, and a black one with chunks of silver crimped in a pattern. Carrie still has the shawls Pancho Villa gave her great-grandmother. Carrie also told me about another famous wild-west character named Diamondfield Jack. He was supposed to have killed several sheepherders during the sheep-cattle wars in Idaho. Local legend has it that he fled from Idaho to Nevada to hide out, but Carrie has a photo of Diamondfield Jack with her great-grandfather, her grandfather, and other members of her family during that time. Well, that might change a bit of history if proven that he is the man in the photo, wouldn’t it? Kathleen Y’Barbo’s (CFHS blogger, 1st of every month) great-aunts are the researchers in the family. Through them, she uncovered a story of a pregnant young widow, Maryanne Escher, of Brazoria County, Texas. Maryanne’s husband died in the early 1850s when he was struck by lightning while on horseback. Mrs. Escher, who was Kathleen’s great-great-great grandmother, lost not only her husband but all the workers on their farm except for an elderly couple. On top of that, her husband's brothers came and took all the livestock away. From the ruins of that tragedy, she triumphed by using her empty barns as warehouses and the unused dock as a steamboat stop along the Brazos River. She became a savvy businesswoman whose warehouses supplied food and supplies up and down the Brazos, and after a long and good life, she died a wealthy woman. Kathleen used her story as the basis for her first published work, a novella titled Saving Grace published by Barbour Publishing in an anthology called Yellow Roses. The original anthology was a Christian Booksellers Association Bestseller, and the collection was re-printed as The Texas Brides Collection, which released May 2013. How cool is that? From high up in the mountains of Denver, Colorado, Darlene Franklin (check out Darlene's CFHS posts on the 12th of every month!) shares an interesting bit of research. When she was working on Dressed in Scarlet (in the novella anthology, Snowbound Colorado Christmas, Barbour 2008), she visited an exhibit on Italians in Denver at the Colorado History Museum, since her hero was an Italian immigrant. The museum also had an exhibit on Barnum & Bailey's winter headquarters. She learned that during the 1913 blizzard (apparently 1913 was a rough year all over!) that provided the backdrop to her story, circus elephants helped to clear the Denver streets of snow. She loved that unlikely fact and included a scene about it in her story. 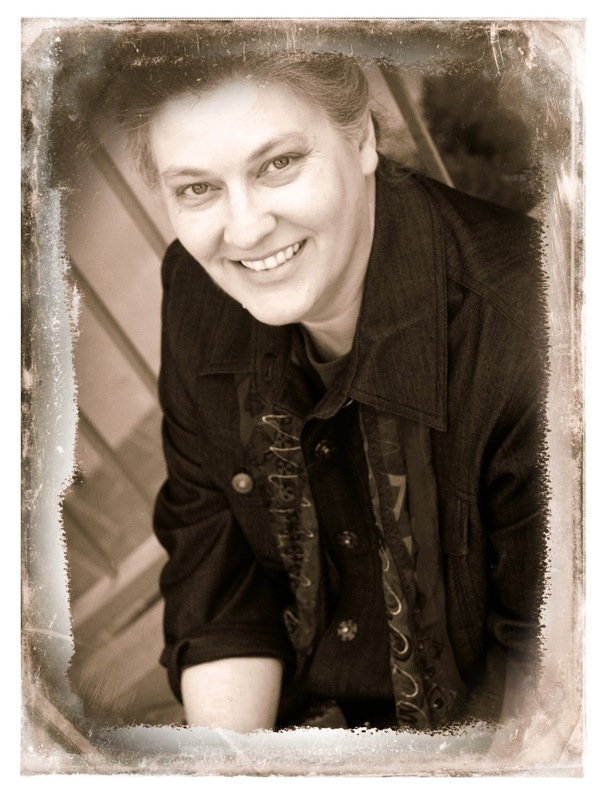 Myra Johnson writes historical romance for Abingdon Press. Myra relied heavily on the Garland County Historical Society in Hot Springs, Arkansas, for her historical romance series Till We Meet Again. One of the interesting tidbits she picked up involved the day Prohibition when into effect in Hot Springs (July 1919). A local saloon needed to get rid of all their beer. The manager of a circus that regularly visited the city called the saloon owner and asked if he'd like to "donate" his beer to their elephants, who "loved beer better than almost anything." The saloon owner said sure, so soon the manager arrived, bringing two elephants inside the saloon. Three more were out on the sidewalk. So the saloon owner had a tub carried out front and filled it with beer for the elephants to slurp up! I’m sure I don’t have to tell you that Myra used that scene in her series. It appears in book two of her Till We Meet Again series, Whisper Goodbye (available Spring 2014). As you can tell, the historical authors spotlighted in this two-part series are serious about adding authenticity and historical accuracy, along with a dash of peculiar, interesting, and just plain fun, to the books they write. Good job, ladies and gentleman (Alan Daugherty from last month :)! The Prize Vault is OPEN!!!! One of my favorite questions to ask an author is "What are some of the most interesting things you have found during your research?" These are all fascinating finds and I loved reading every one! 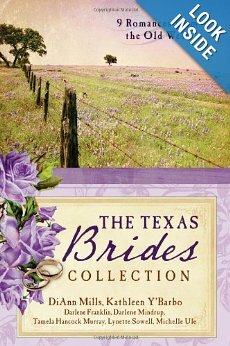 As a Texan, I must say I would love to win a copy of THE TEXAS BRIDES COLLECTION! Thank you so much for this wonderful opportunity and for sharing these fascinating finds! I love that we uncover unknown and unlikely bits of history and share them. It seems nothing is impossible with our imaginations, and the truth as well! 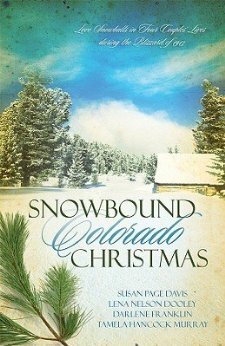 I too would be happy with Darlene Franklin's Snowbound Colorado Christmas, as my story is set in Colorado too, a few years before that time. Thank you! The digging and probing that an author does to get the setting or the moment just right is amazing to me. The sincerity and the determination of a writer is awe inspiring. I love all the interesting facts you have shared in this post. Any book you have mentioned would be a wonderful read. I am a Texan and my roots run deep so The Texas Brides Collection would be the book I would choose. Thank you for the opportunity! I would like to win Texas Brides as my first choice, Maine Bries as a second and Women in Flight as my third choice. Thank you for the chance to win. I would like to win Patty's book or Myra's (first choice)....I have read your books, Pam, and loved them. I see you on Seekers often; glad to see you here! Waiting for your next book! I think I would enjoy Hearts in Flight the most. Thank you! I would love to read Hearts in Flight the most. Thank you! Great work on the part of all in uncovered such fascinating stories while researching a novel and how exciting when a trail leads to an event that includes an ancestor. Loved the post, Pam. Love to win When the Clouds Roll By. Pam, you did a fantastic posting. Enjoyed it so much. So fascinating. It's amazing what you learn from history. I would be happy to win any of the books including your books, Pam. I don't believe I've had the opportunity to read any of these books. Please enter my name in the giveaway. Thank you! I would like Claiming Mariah - thanks for the chance to win!! such a fascinating post of what we can learn. Great posts! So fun reading and finding out about these lesser known little historical tidbits!! All of the books sound great but I think I would love either the Texas Brides Collection with Kathleen Y'Barbo's story based on her 3great-grandmother or a copy of your book, Claiming Mariah, the most! I'd love to read either Hearts in Flight or When Clouds Roll By! They both look so very good! Thanks for such an interesting post about these great books! I would love to be entered in the giveaway! I think I would love Snowbound Colorado Christmas because I love snow! But any of these would be great. Thanks so much for the chance to win! I would love a chance to win When the Clouds Roll By. Claiming Mariah also sounds really good. Great post today! I love reading this kind of background info! Thanks for the chance to win. Great post! Please include me for When the Clouds Roll By. So enjoyed your post, Pam! Would love to read all of the books - they all sound wonderful, but would really love to win: When the Clouds Roll By, & what a beautiful cover it has! I would like them all, lol! I think my main choices would be "Maine Brides", "The Texas Brides Collection" or "Snowbound Colorado Christmas" though. Some great sounding books here. Hello everyone!! So sorry that I wasn't around to comment on Monday. I was still at the ACFW Conference in Indianapolis and by Monday my brain was mush. And the winner of her choice of books listed in this weeks post is: Brittany McEuen.